The Education system in United kingdom is known for its quality and this is the reason why it is attracting thousands of students every year to pursue their education in there top class Universities in UK. Universities in UK are not only known for Standard of education in the means of teaching but also in providing various facilities like Libraries, Computers, research equipment and accommodation facilities too. Britain has been a popular destination for Indian students and many of them every year pursue their Higher Education in the best Universities of UK. Likely, there is a closely supervised study and there is also a good relationship between the Staff and Students which resulted in high pass rates and drop out rate for International students is very less. Read more about the Education and procedure to Study in UK. Likely, there are more than 150 institutes of Higher education to choose from, all equipped with extensive facilities, Britain is able to offer a broad spectrum of subjects from the highly academic to the purely practical in anything from architecture to zoology. Unlike your first degree, if you are applying for the post Graduation degree then there is no central system of Admission for post graduate degrees and here you need to apply directly to the concerned University or Institution in which you are interested to pursue your course of choice. Usually the application varies from one Institute to other however you can obtain a generic form from your local British council office and this form is usually accepted by most of the Institutions in UK. To Study in UK, students should go through screening process. Usually application screening takes some time as there will be plenty of applications for them to go through and hence you need to wait for some time to get your answer for your application from the respected University you are applied for, hence it is better to apply earlier. Acquire good knowledge of various courses and Universities in UK and apply before 6 months so that you can attend any interviews if needed and also before this you better complete all the Visa procedures. Generally, some Universities in UK need only a letter while some Universities want the complete Academic record of the student and also the research plan of them. Hence usually you need to prepare to fill the form with complete details regarding your education and your research interests too. You also need to make sure that whether your qualifications meet the course requirements by contacting the National Academic Recognition Information center for their UK equivalents and please do not put the equivalents on the application form because putting equivalents is the duty of Admission officer of the respected University you applied for. It is important to have good IELTS score which helps as a building block to Study in UK. Likely, if English is not your first language you may be asked to submit the proof of your English language competence so here you can make use of your IELTS score which means International English language Testing system here and if you are applying for the Post graduate course, be sure that you provide all your work experience, achievements and skill you learned. This will help you during the UK admission process and as your personal statement is most important part of your application screening so please be specific and honest. Sometimes you also need to explain your financial status and support and this is to check by the university officials whether you can afford the course . You may also be asked to submit some references of your professors who taught you and this is to check your conduct and some UK Universities also asks you to attend the Interview and here you can get a chance to meet the academic staff of the respected University and there you can be asked why you have chosen there University and what are your goals and so you better prepare for all this type of questions while you go to interview . So, if you are really interested to pursue your Higher Education in UK, it is better to get good knowledge about the various Universities in UK and courses they offer and there by you can easily apply for your course of choice. Students tips wishes you All the Best for your Higher Education in UK. Thanks for the information. I’m sure college students will find it quite useful. 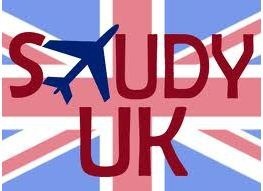 Do check us out for study abroad too. Academic Studies Abroad is a greatway to discover a variety of study abroad programs in Europe and Latin America.